The market is price driven. 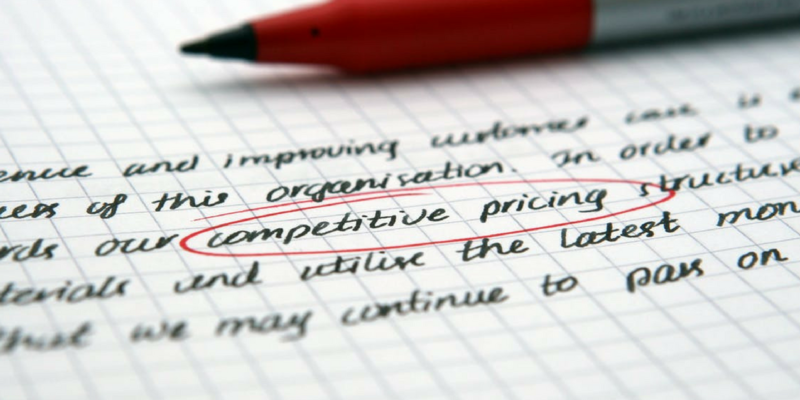 You know it too well – if your pricing is out, you’re out. To do price monitoring on every SKU is an impossible task. Thankfully there are automated price tracking and repricing tools to put you ahead of your competitors. A good repricer tool gives you data to make optimal business decisions. It tells you who your competitors are, what are they selling, when they are selling, how much the items were sold for, and how many. With such data, you can implement your pricing strategy effectively to achieve the best balance between turnover and profitability. You’re in control. We all love it. We buy online because it’s convenient. We google the product specs, the model, and the colour. We decide what we want to buy, and that’s when the fun begins – who has the cheapest price for this product that I want to buy? Online shopping makes it too easy for buyers to compare. It’s too transparent with all the search capabilities of the eBay Best Match, Group Similar Listings, Amazon buy box, and Google Shopping. Services like Google Shopping have made it easier for customers to compare prices on products they are looking to purchase. | Related Reading: How to Sell on eBay, and What is Google Shopping? Because there is so much structured data on listings such as Brand, Model, MPN, and UPC, there is little room for product differentiation. If the products are all the same, and they are all protected by the refund and return policies imposed by eBay and Amazon, there is no reason for buyers to pay more other than the lowest price. I see this all the time. One seller ambushes another by sneaking in a listing with the same Title but one cent cheaper. The result? The seller who is losing the sales won’t know about it for days, sometimes even weeks. Ideally you’d want to do price monitoring for your store regularly, say, at least once every couple of days. But in practice, once your store grows beyond several hundred SKUs, it will no longer be possible to do manual price monitoring. It’s too complex and tedious. You could employ staff to do the job, but it is expensive, and after all, price monitoring is most suited for automation with algorithms. Because it is “too hard”, most sellers either don’t do it, or do it only to find it’s too late. Once you start losing sales, your Best Match search ranking drops, which in turn further reduces your page impressions and conversion. You could find yourself in a downward spiral very quickly. If you don’t do price monitoring, you’re exposed. Someone could be eating your lunch. We don’t want that. We want a tool that can help you build your sales momentum, and always put you in the driver’s seat. StreetPricer is an automated price tracking and repricing application, and is the latest Add-on for Neto merchants. It scans eBay and Amazon for listings that compete with your store, looks at their prices and automatically reprices your products so that you remain competitive (and profitable). The tech behind StreetPricer is essentially a “Radar” that uses artificial intelligence (AI) algorithms to handle both catalog or non-catalog items. For catalog items, operations can be reasonably automated, and in some cases, completely automated, depending on the product categories your items are in. The more structured the data (e.g. UPC, Brand, MPN), the higher level of automation you can achieve. For non-catalog items, you can use AI Scan to give you results, without supplying product keywords. Alternatively, if you are willing to spend the time to come up with keywords for your items, it always gives more targeted results. The results from AI Scan vary, and it is quite dependent on what information you supply with your own items, and similarly what item-specific data is supplied in your competitors’ items. In any case, you can set filters and parameters to tailor the results to your business and ensure that you don’t go too low with your prices. 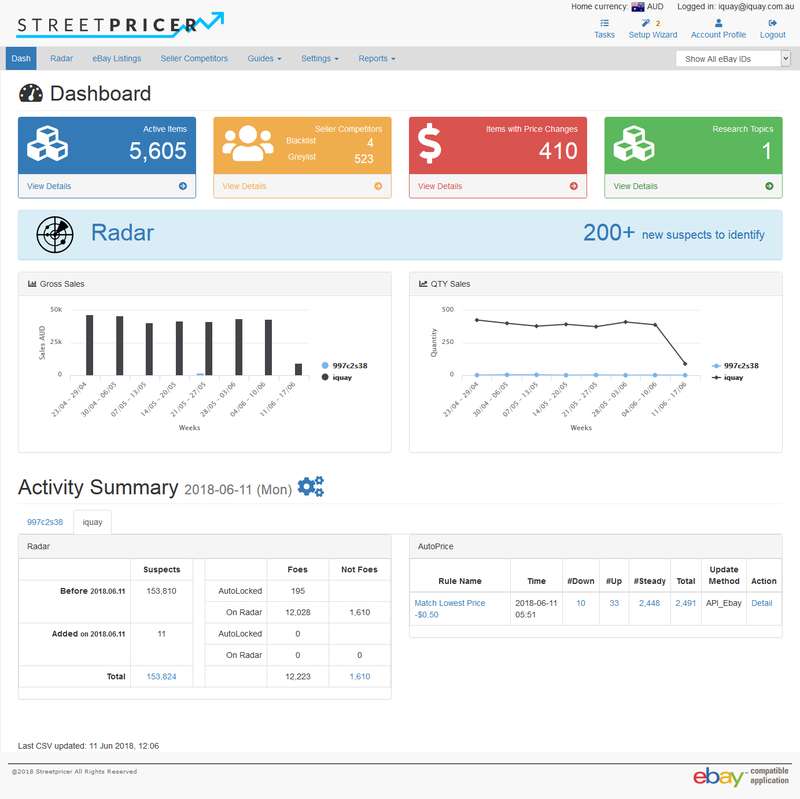 A unique feature of StreetPricer is the support of eBay’s multi-variations. It has a “Mark variations in bulk” feature, which cuts down the amount of time you have to spend sorting out all the variation combinations between your items and your competitors’. The #1 question I get asked all the time is “Is this a race to the bottom?” The answer is “Definitely not”. I can see from the data coming from over 25 eBay and Amazon sites, 30,000+ sellers, and almost a million listings that we are currently tracking, that the 57% of the reprices are upward movements, vs 43% of price reductions. Why? Because you if your competitors are no longer discounting or if they are out of stock, you’d want to know about it so you can move your prices up immediately. Automated repricing is the best kept secret ecommerce tool for 2018. Add it to your Neto store to start winning the pricing game.